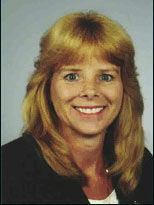 Prior Lake Divorce Lawyer Jodi Langhorst See has a wealth of law experience. Her law firm has attorneys specializing in: family law and divorce cases, estate planning, probate cases and will preparation, personal injury cases. Jodi Langhorst See Law Office & Dispute Resolution Services, PLLC provides professional, prompt representation in the areas of family law and divorce, estate planning and wills, personal injury and alternative dispute resolution matters, including mediation. We serve clients throughout the Southwest Metro area including Scott County, Dakota County and Carver County, including Prior Lake, Shakopee, Savage, Chaska, Lakeville, Burnsville and New Prague. Firm principal Jodi Langhorst See and her assistant Lorraine strive to provide the highest quality legal and divorce services to you and your business in a timely fashion with integrity, honesty and dedication to our clients. Experience, hard work and zealous advocacy is what we can provide to you as our client. The firm was founded in 1999 and has an established reputation in the local and legal community for providing outstanding legal and divorce representation and for our commitment to serving the best interests of our clients. We welcome the opportunity to talk with you and to discuss how we may be of service to you. For the convenience of our clients, we offer a flexible schedule by prior appointment. For exceptional legal representation, contact Jodi Langhorst See Law Office & Dispute Resolution Services, PLLC to schedule a complimentary initial consultation. View my website for more information.